Himlung Himal 31 Days is a hard trek. Travelers who can walk up to 6-7 hours a day on an uphill and downhill trail will find this trek fulfilling. It is best that we prepare ourselves for the Annapurna trek by jogging and exercising regularly at least a month prior to the start of the trek. Trekking to the Everest Base Camp should be relatively easier for those who have experience walking/trekking in a high altitude environment. Past hiking experience would be an asset but no technical skill is required for this trip. It is also important that we consult our doctor. Participants with pre-existing medical conditions such as heart, lung, and blood diseases should inform Discovery Mountai Trek before booking the trek. 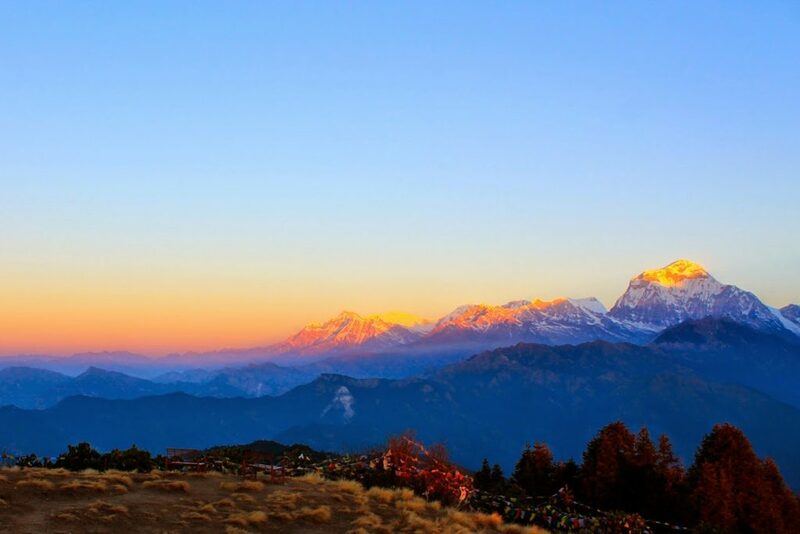 The best time to trek to the Himlung Himal Expedition is Spring (February to May) and Autumn (September to November). The temperature is moderate in these seasons and guarantees amazing views through the trip. Although this trek can be undertaken during winter, the cold temperature might not be suitable for everyone. The Himlung Himal (7126m) is located between Annapurna and the Manaslu Range. Himlung expedition will take you through the remote villages of Naar and Phu, the unique culture of the Himalayas and beautiful scenery. It has been open since 1992 and was first brought back by the Japanese team the same year. So far, a few teams have managed to climb to summit. Himlung Himal is splendid summit in isolation with an impressive trek trek. We will establish the base camp at the height of 4950m then three other camps (Camp I 5400m, Camp 2 – 6050m and Camp 3 – 6350m) will be established to reach the summit. We drive early in the morning to Besisahar then we start to walk Khudi (gurung villages). The road is long but very beautiful, surrounded by green hills and rice terraces. The trail walk along the Marsyangdi to the village of Ngadi. We climb short steep and descents through rice fields and forests, along the Marsyangdi surrounded by terraced crops. Crossing the large suspension bridge of Syanje and many villages (Lampata, Bahundanda, Gherme then jagat. Walking in the heart of the gorge Marsyangdi, easy path with alternating large climbs and short descents. The vegetation changes, we begin to see conifers whose chir pine, recognizable by its long silver needles in cluster. We cross the village of Tal (1680m) which means “lake”: it is very likely that a lake was to be here long time ago. The path continues until Dharapani, big village at the crossroads of several valleys. We start our trek to Chame today via Bagarchap, Timang and Thanchok, The valley becomes very steep from Danaque to Timang, then the trail be comes easy to uphill and down, We walk in a beautiful forest of rhododendrons (bloom in the spring) and chir pines, Danaque offer very good view of the Annapurna II, Manaslu, Peak 29, Himalchuli. We enter the valley of Naar Phu and we climb up to Dharamshala (3305m) through bamboo forests and deep gorges that overlook the Naar Khola (khola = river) that we cross (bridges) several times. Short but steep climb to Meta (3615m), former refugee village Kampas (fierce Tibetan warriors of the Kham region, now integrated into Chinese Sichuan), then we continue on a path on the mountainside, in the middle of juniper trees, which dominates the confluence of Labse Khola and Phu Khola which form the Naar Khola. We start after breakfast a very aerial path leads us to the edge of the Phu Khola that we follow in a mineral landscape dominated by the glacial moraines then a last rather steep climb leads us to the gates of the village of Phugaon (phu = haut and gaon = village). Just before arriving at the village, beautiful view of the Namgye Peak. Day acclimatization and visit the “monastery” Tashi Lakhang (nyingmapa school). We climb on moraine and a small sanitary worm base camp of Himlung Himal. We have 15 day for the ascent of Himlung Himal, We will establish the base camp at the height of 4950m then three other camps (Camp I 5400m, Camp 2 – 6050m and Camp 3 – 6350m) will be established to reach the summit. We after our successful summit of Himlung Himal, enjoy a festive breakfast and begin to clean the camp base and descent to Phugaun. We descend to the gorges until Meta. We descent and up back to the same trail to Koto. Today we drive down from Koto to Besisahar by jeep. We take the private vehicle to Kathmandu 180km, at the end of the day we will visit the famous temple of Swyambhunath, a symbol of Nepal. It is called “temple of the monkeys” built more than 2000 years ago on a hill, overlooking the Capital. Your adventure in Nepal ends today. Discovery Mountain Trek drop you at airport a few hours before the scheduled flight.